It might be tempting to skip breakfast in favor of beating morning rush hour, but it's not a myth that breakfast is the most important meal of the day. Eating a healthy breakfast gives you a burst of energy and helps you avoid overeating at lunch. 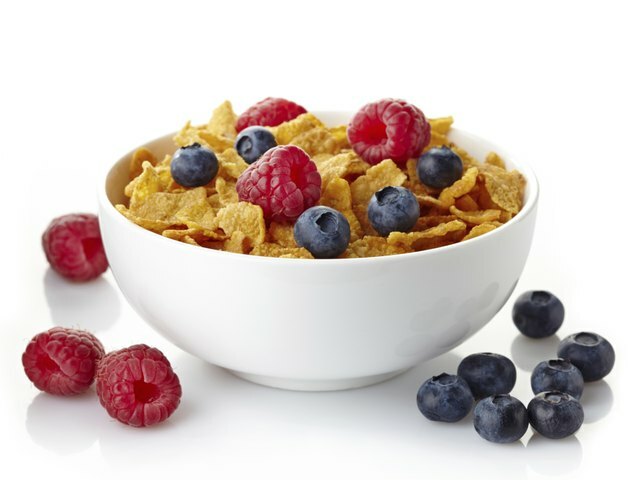 A quick breakfast idea is a bowl of Special K cereal, which is available in a number of flavors. The recommended serving size of the cereal varies depending on the flavor you choose. The calories in your bowl of Special K depend on how much of the cereal you serve yourself. One cup of Special K's original flavor contains 120 calories. Half a cup of 2 percent milk adds another 61 calories to your breakfast, while 1/2 cup of skim milk increases the meal's caloric value by 42 calories. If you enjoy fruit-flavored cereal for breakfast, Special K has two varieties that might suit you. The Red Berries flavor has 110 calories per 1-cup serving, while the Fruit & Yogurt flavor contains 120 calories per 3/4-cup serving. Remember that adding 1/2 cup of 2 percent or skim milk increases the caloric count of your breakfast by 61 or 42 calories, respectively. Breakfast might not be the traditional time to get your chocolate fix, but if you enjoy a sweet, rich cereal, you might enjoy Special K's Chocolate Almond or Chocolatey Strawberry flavors. A 2/3-cup serving of Chocolate Almond cereal has 110 calories. A 3/4-cup serving of the Chocolatey Strawberry flavor, meanwhile, also contains 110 calories. As always, adding 1/2 cup of milk to your bowl adds an extra 42 to 61 calories. Cinnamon Pecan and Vanilla Almond are two flavors of Special K that combine the original cereal's flakes with the crunchy texture of nuts. A 3/4-cup serving of the Cinnamon Pecan flavor contains 110 calories, and the same-size serving of the Vanilla Almond flavor also has 110 calories. How Many Calories are in a Bowl of Kellogg's Cereal With 2% Milk?